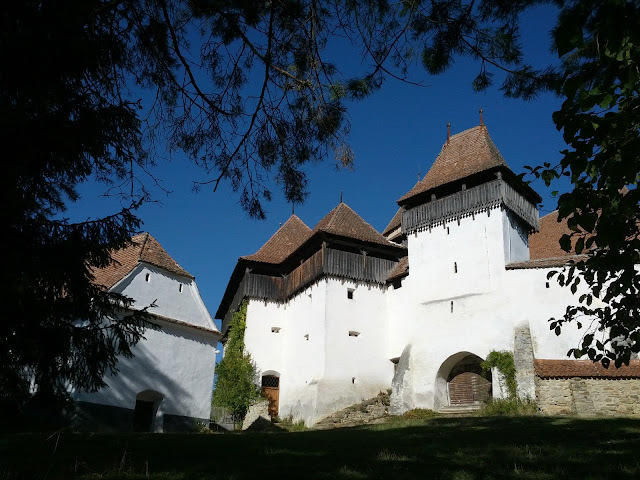 Transylvania – it is enough to mention the word and its magic bursts out with a long chain of stereotypes: Dracula, medieval castles, myths, traditions, garlic, forests, wolves and mountains. I have a good news for you: it exists and still has it all for you to day-dream! Today, part of Romania, Transylvania shares a rich history with the Austrian-Hungarian monarchy. 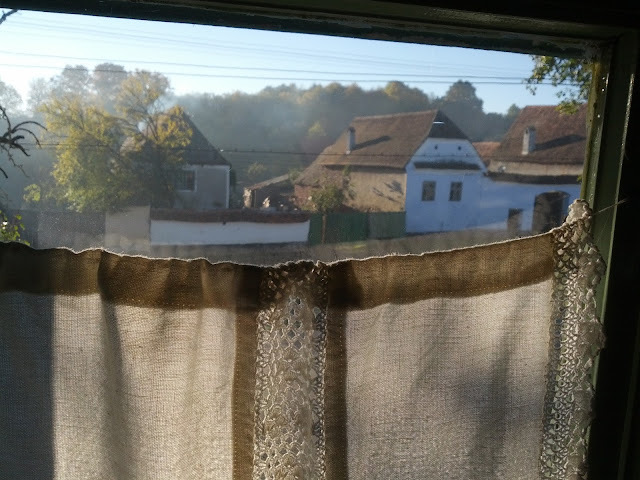 This is why all the places bear 3 names in Romanian, Hungarian and German and the traveler still can meet the 3 cultures living together for more than 800 years. I heard that it is a magic place that charmed even HRH Charles Prince of Wales and wanted to check it myself. We are driving from Brasov to Bunesti village and then turn left to Viscri. The road is very bad and it seems to be left like that on purpose in order to keep away the hoards of superficial tourists not willing to sacrifice their comfort for a bit of authenticity. 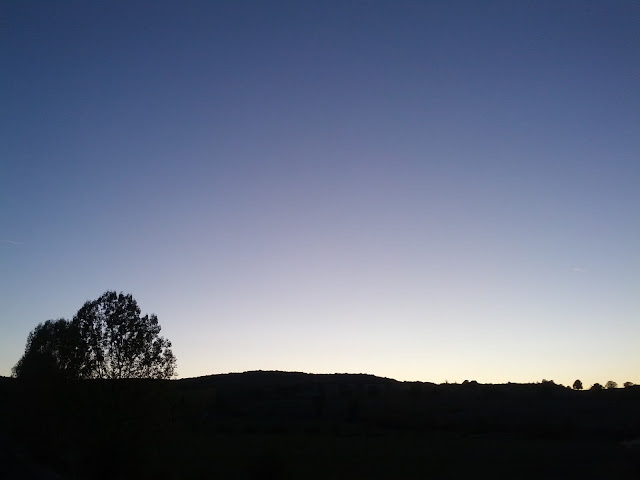 The sun-set leaves a sparkling clear sky and once the dark has arrived, the sky became an astronomical observatory feast for the eye with billions of stars all blinking only for you! 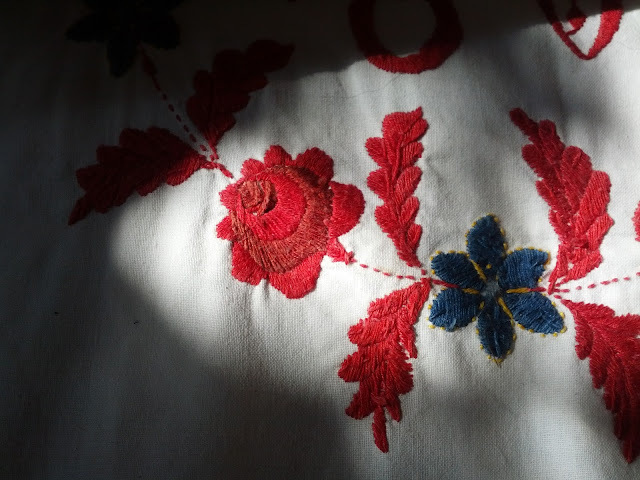 After a long travel we fall asleep in the heat of the wooden stove in traditional beds that seem like drawers pulled out of thousands of Baroque embroideries. The first rays of sun creep through the window blinds. 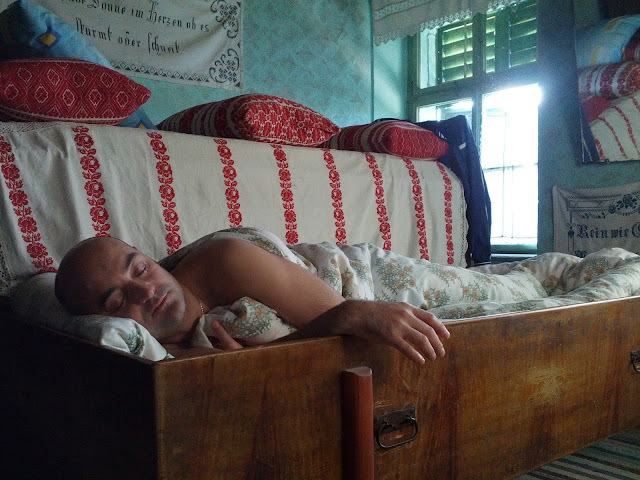 We survived our first night in Transylvania, hiding a clove of garlic bellow the pillow. You look out the window and notice that you woke up in a scene forgotten in the Middle Ages. Pale coloured houses with huge gates, geese, hens, ducks, cats, dogs, cows – somebody please pinch me! Breakfast is served usually in the courtyard under the wine but the autumn days are chilly and I preferred to stick to the wooden stove for some more warmth. Everything ending on the breakfast table has been produced maximum 50 meters around the house: the oven baked bread, the eggs, the cow milk, the cheese, butter, honey, the thousand herbs for the infusion, the pancakes with apples and the world famous organic jams and marmalade made of berries, rose-hip, apricots and Prince Charles’ favourite the rhubarb jam. The Prince’s involvement in the local community has a huge impact in the sustainable development of Viscri and its inhabitants and gave the place a large exposure to the world. 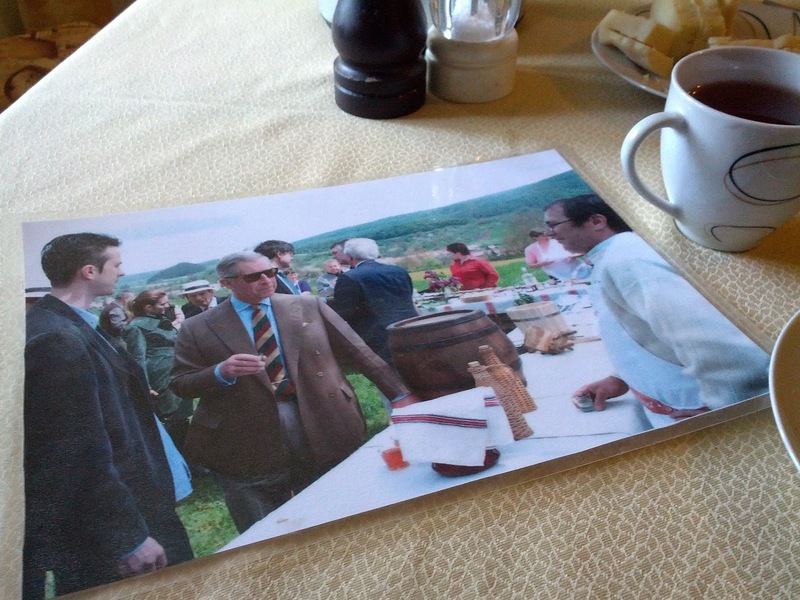 The Romanian and international press often picture Prince Charles on a stroll through the village, greeting people, assisting at daily activities such as hay cutting, elder-flower picking, jam or brandy making. All these activities are done manually in the way they have been carried for centuries and seems that the living traditions fascinated the British royal who is constantly shipping to the Buckingham Palace the best of Transylvanian crops or products. The rhubarb jam is such a product. Made with love by local grandmothers using organic rhubarb it was recently packed in a special jar with silver threads and silver spoon and launched this October in Paris as a royal delicacy. Transylvania’s unspoiled nature is home to wild animals long gone from the European landscape such as the brown bear, the wolf, the eagle) as well as a rich flora: on the rolling hills of Viscri every square meter embraces over 150 different species of flowers such as the wild orchid. Locals say that Prince Charles is often accompanied by a British biologist who helps him identify the different plants. Your morning infusion will most likely be a cocktail of happiness made of medicinal plants from here. Gerda and Nicu Gherghiceanu were fenomenal hosts: their warm welcoming, hospitality and cooking was overwhelming. 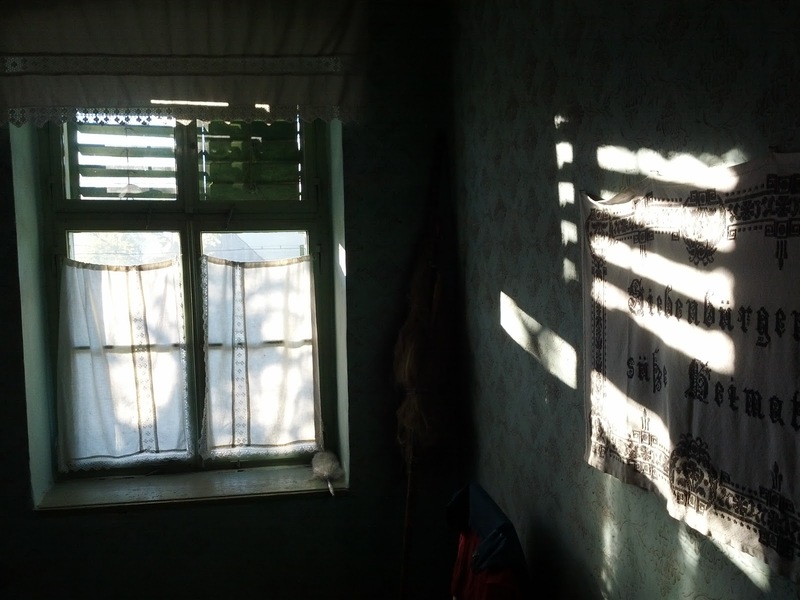 Their house, number 22 still preserves the original village atmosphere of our grandparents! In fact the hosting project started here in the early 1990s when an American tourist caught by the falling night is asking a local for shelter. Early in the morning he is welcomed with a big breakfast with eggs, home made bread, jam and freshly milked bread. Suddenly he starts to cry in tears to the surprise of the host who later finds out that the American was so touched by the genuine hospitality that reminded him of the love and treats he used to receive during his childhood from his grandmother, a feeling long gone and lost in the American urban society. This episode was an eye opener for the host and local community, understanding that love and hospitality are valuable currencies that abound in the neighbourhood. Starting with the 1141 rule of the Hungarian King Geza II, Transylvania witnesses a 100 year of colonization with a Germanic population originally from the region of Moselle (present Luxembourg) generically called Saxons in order to defend the south eastern borders of the Hungarian Kingdom. 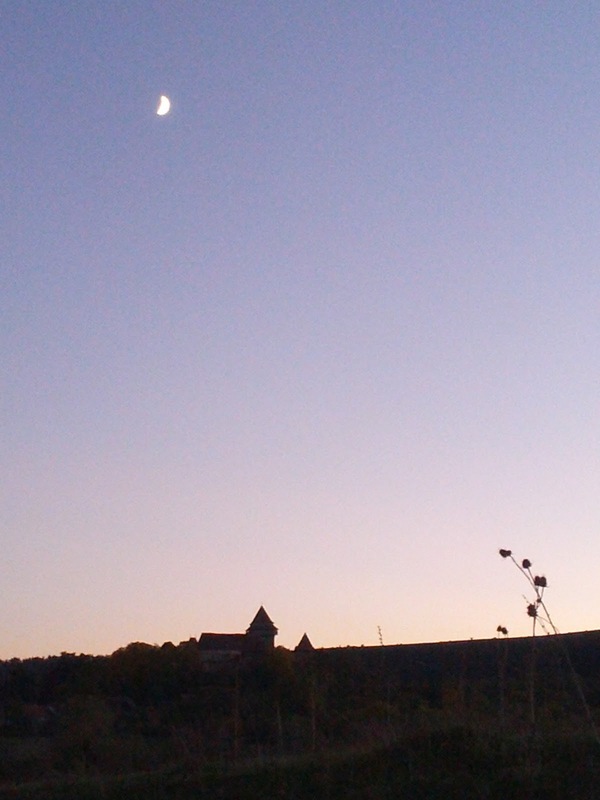 They have arrived in Viscri taking over the Szekler/Szekely built little church dating back to 1100 AD. The Saxons started to extend it and build strong fortifications dotted with 4 strong towers and 2 bastions (1525). In the 1700s a second ring of fortifications has been erected. Today the fortified church is a UNESCO World Heritage Site. Don’t miss the village museum exhibition in the residence tower and the circular covered corridor explaining the 800 year old history of the local Saxon population. Unfortunately their number dropped dramatically especially after the fall of communism in 1989 when most of them chose to emigrate to Germany. Few decided to stay in the village where they were born. 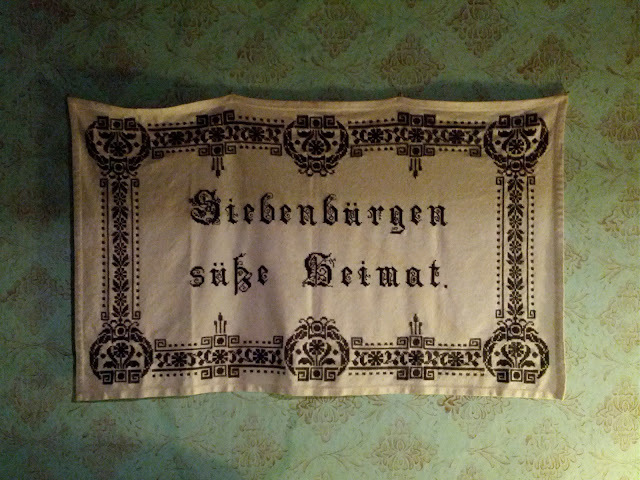 Our host, Gerda explained that she could not get used to the German life style. She missed the fresh clean air, the starry skies, the flavours of the fruits and vedge from her garden, the freedom, the joy of her neighbours. With the latest developments (Romania’s integration in the European Union, Prince Charles’ presence and support via Mihai Eminescu Trust, the set-up of Adept Foundation and new economic perspectives) there are few returning fine and talented young people in Viscri. Tourism and agriculture are the main activities here. You can make bread or jam, visit the sheepfold, meet the bees and the bee keeper, hiking or cycling through the wild flower meadows or the secular oak and beech tree forests. 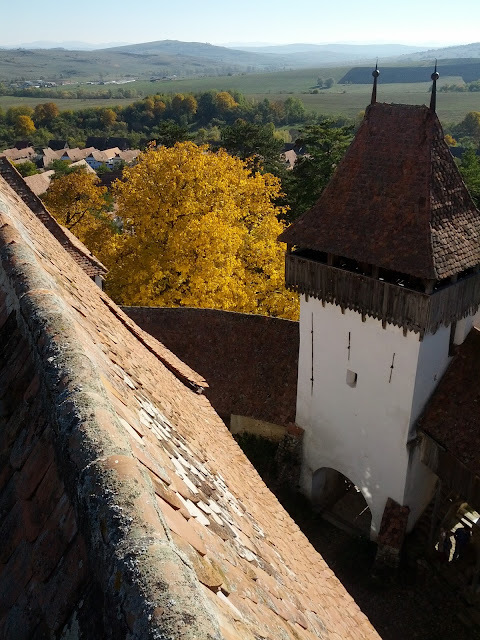 Viscri could be a great base to discover the other 150 medieval fortified churches in the heart of Transylvania. Bellow you can imagine the variety of the local jam industry initiated by Gerda in 2006 to capture the ancient tradition of producing different kinds of homemade jams, compotes and ‘dulciazia’ (fruits in syrup similar to Bosnian slatko) using the fruit that grows in the courtyard or orchard or that is picked in the uncontaminated meadows and woods of this area. Courtyard fruits: blackcurrant, gooseberry, raspberry, redcurrant, rhubarb, strawberry, white currant.